Last season the Thunderbirds did an awesome job of taking advantage of some outstanding photo ops and backdrops that presented themselves as the team criss-cross the country from show to show. This weekend, they are kicking off their season at Davis Monthan AFB, as is the F-22 demo team. 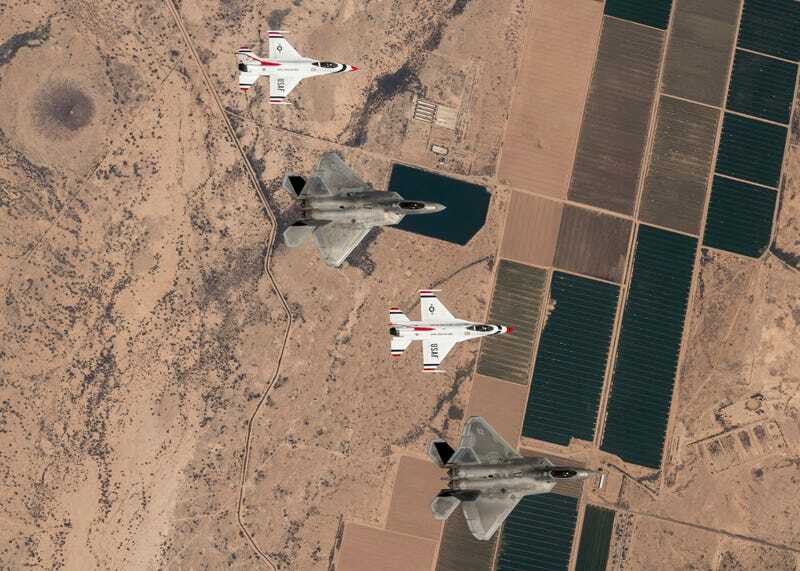 The two teams took to the skies to capture some sweet formation images high over Arizona.